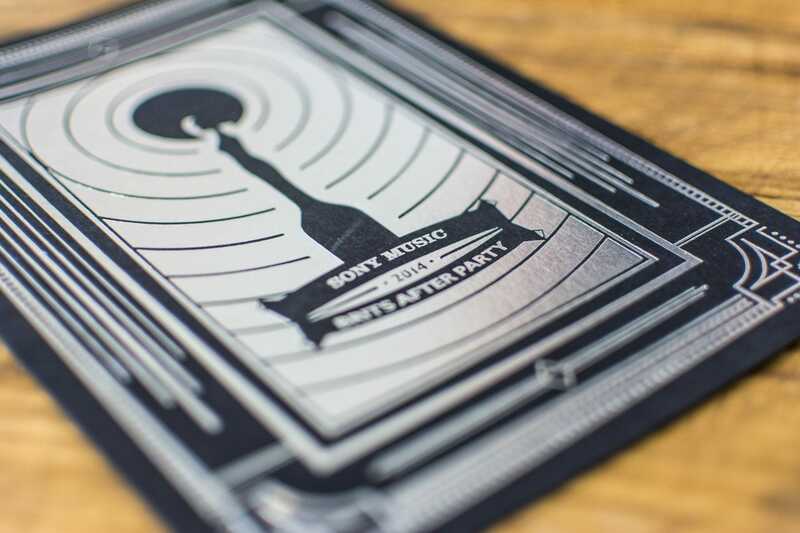 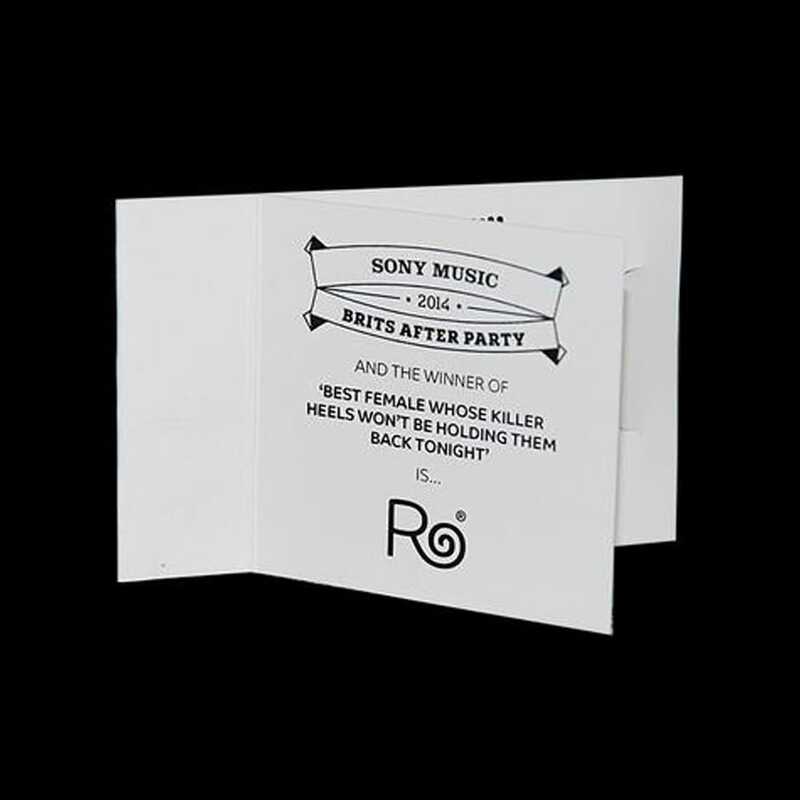 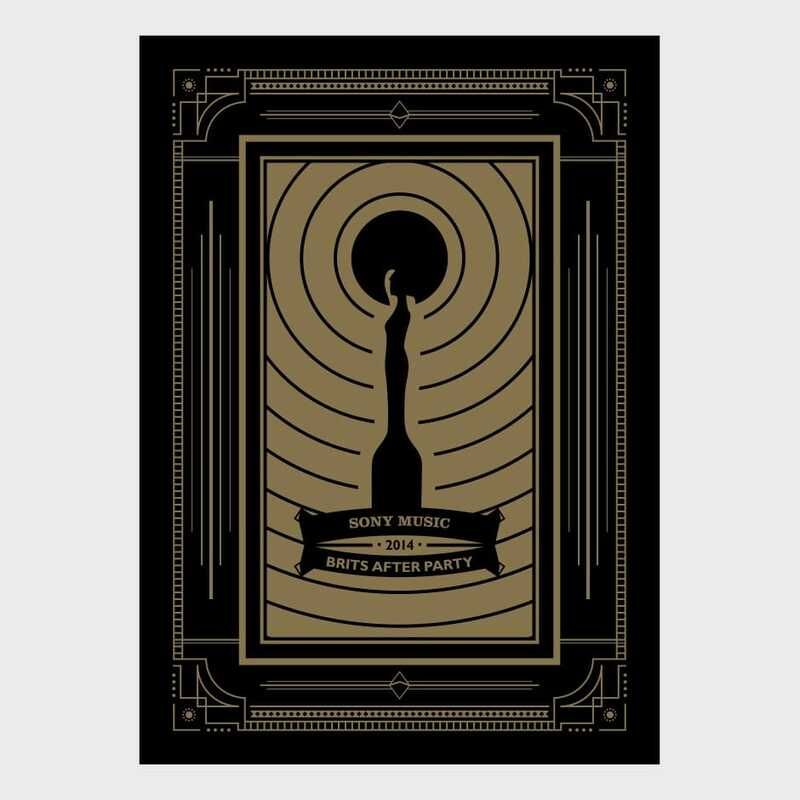 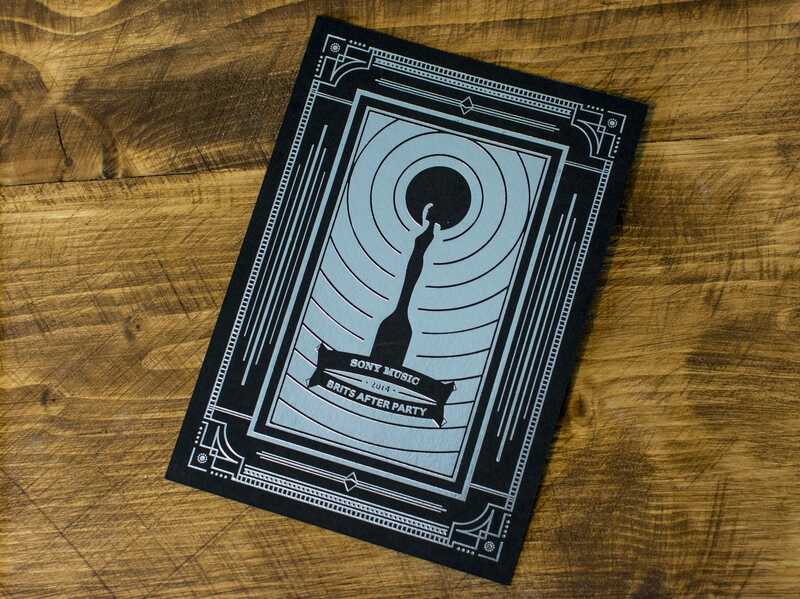 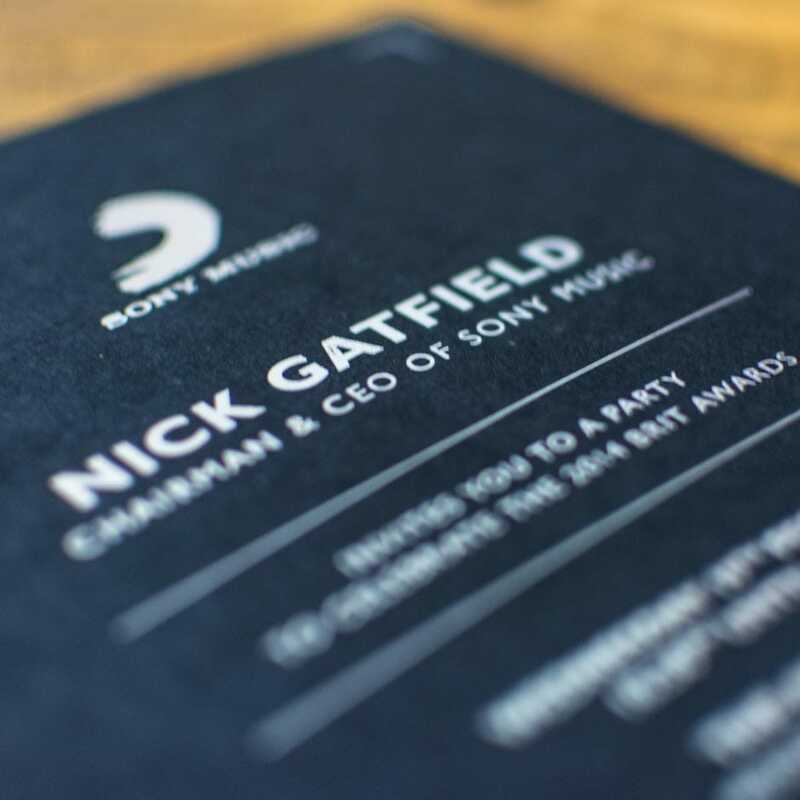 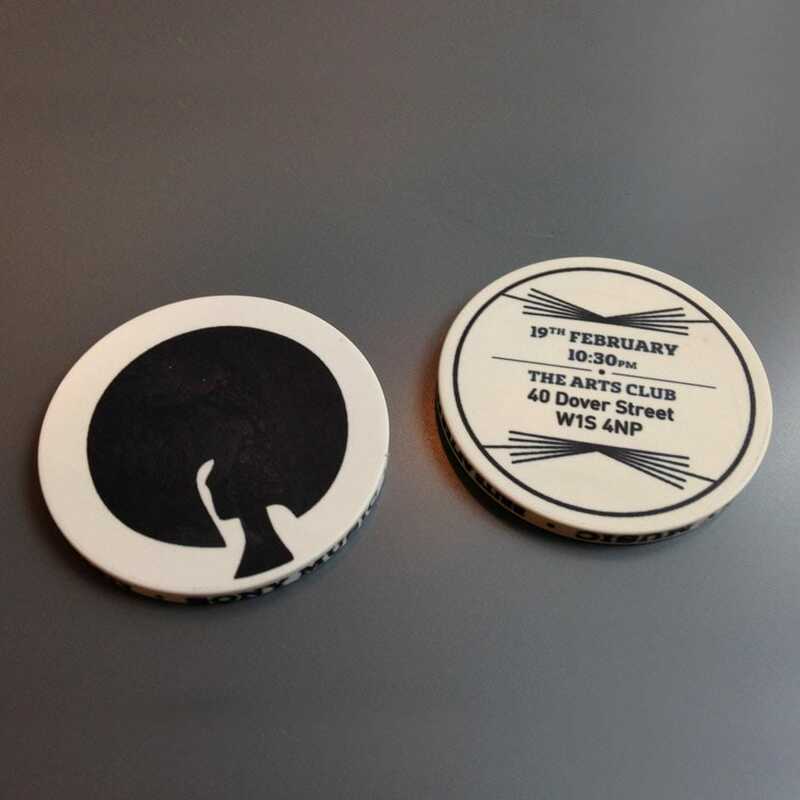 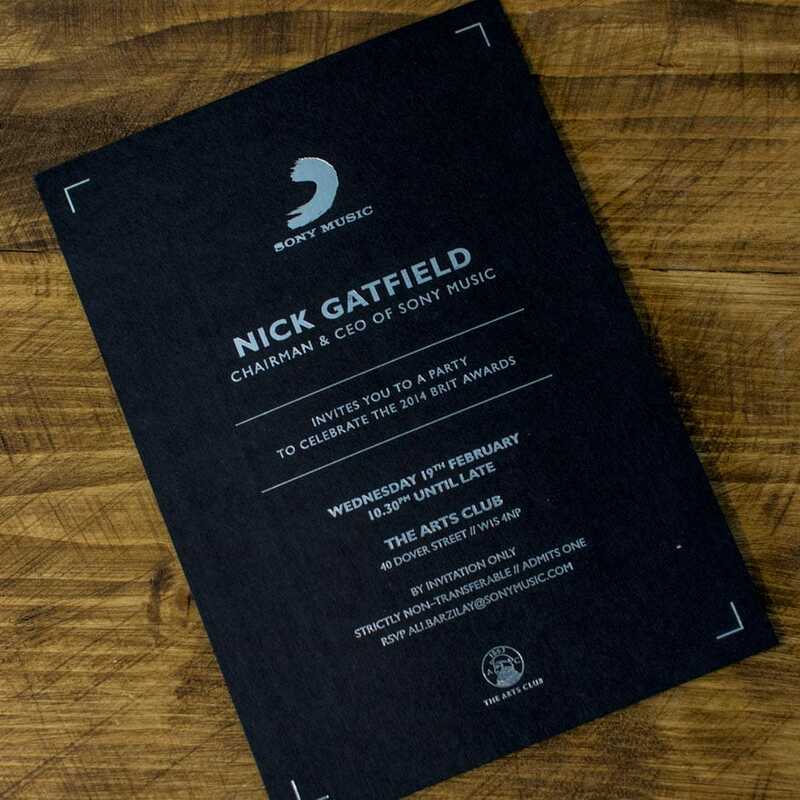 The 2014 Sony Music Brit awards after show party invitations were a bit special. 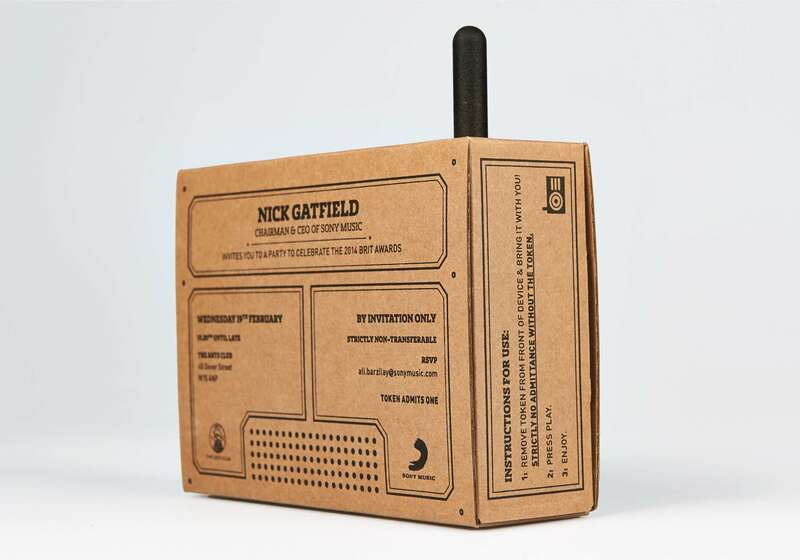 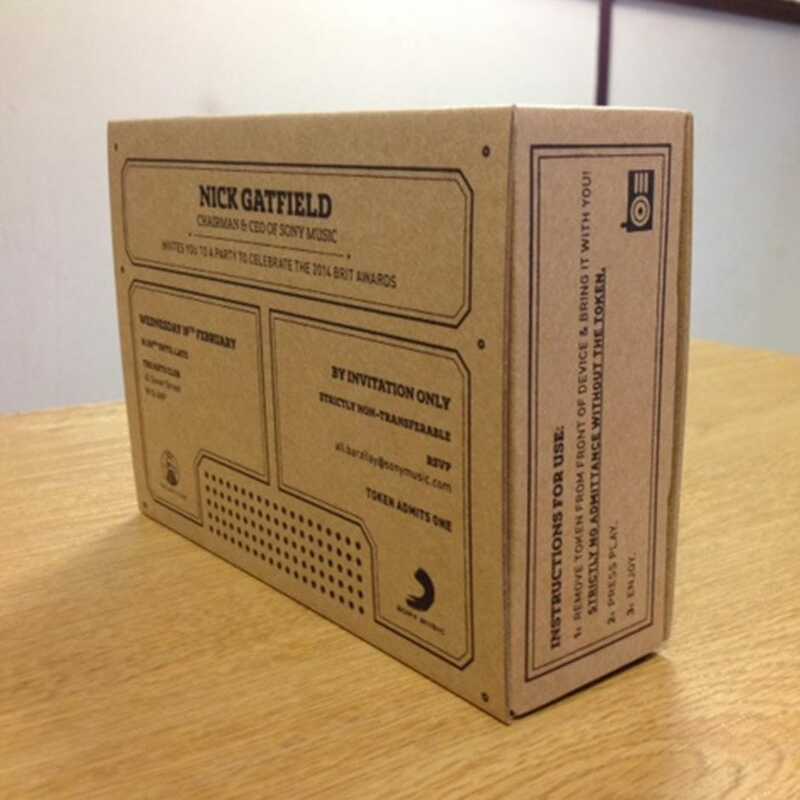 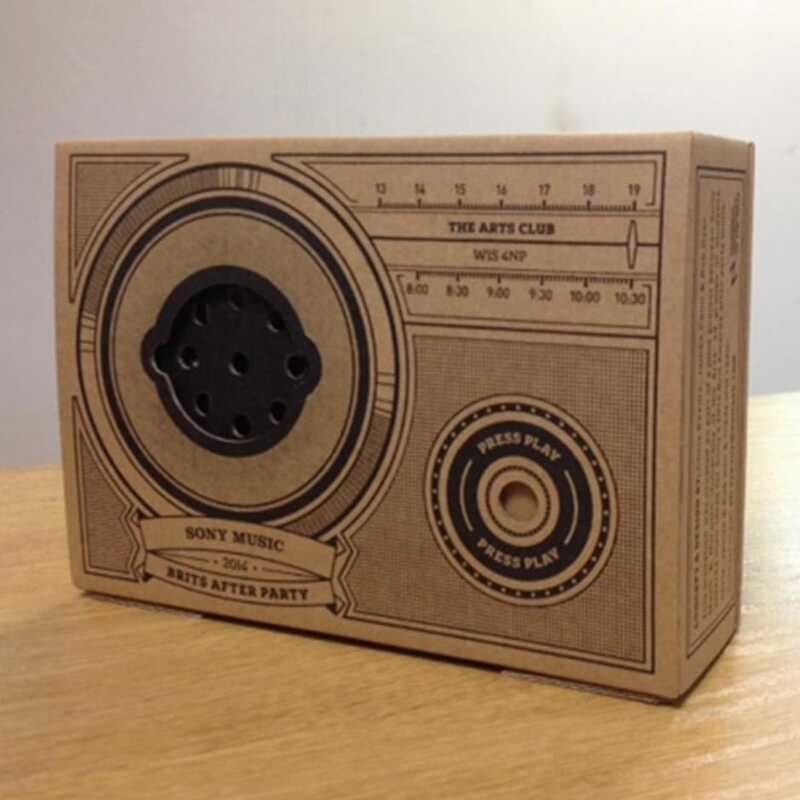 I worked with NUA students Robert Dyer, James Can & Chris Beadle to design & make these three dimensional cardboard transistor radios with an in-built audio chip. 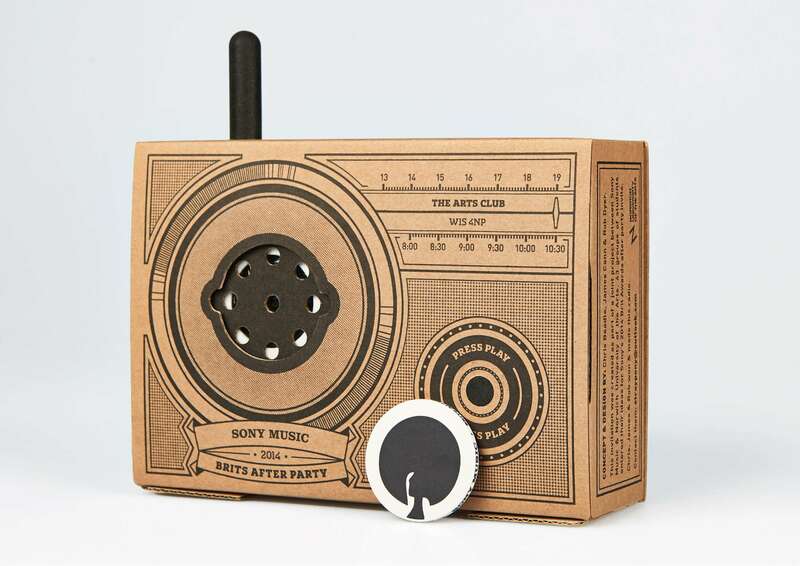 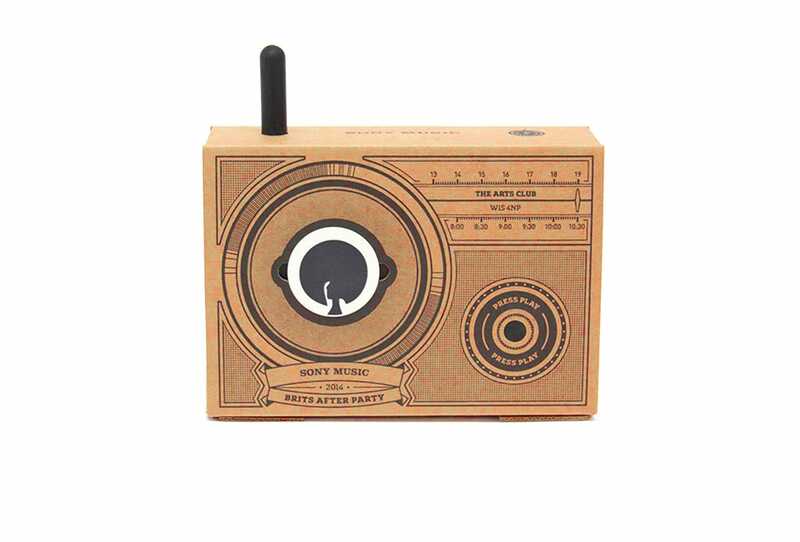 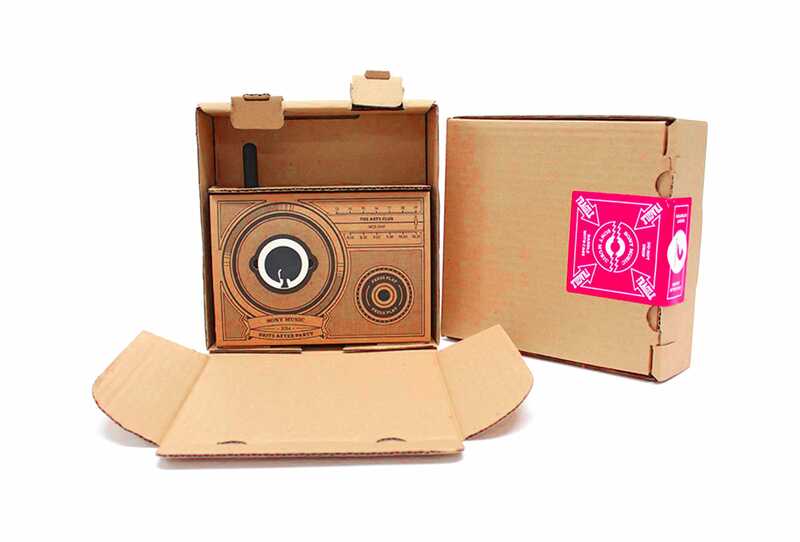 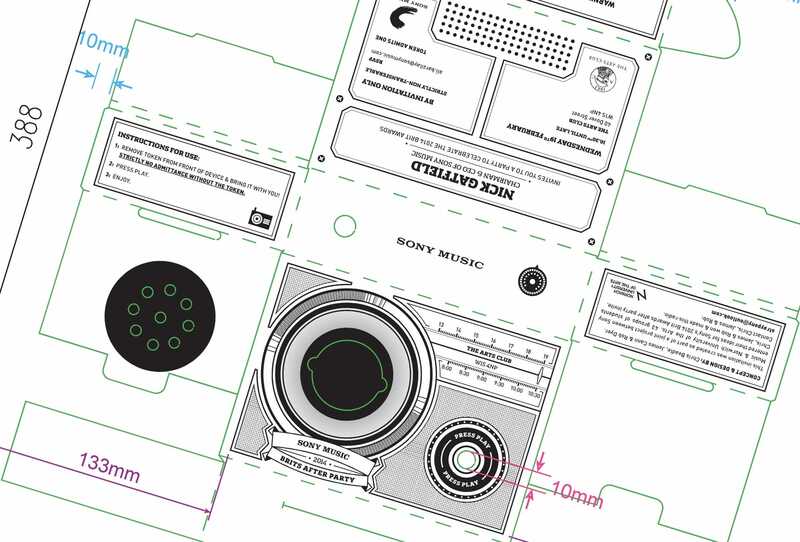 A pre-recorded message, featuring music from top Sony artists & inviting the listener to the party, was heard through a tiny speaker inside the cardboard radio when the play button was pressed.